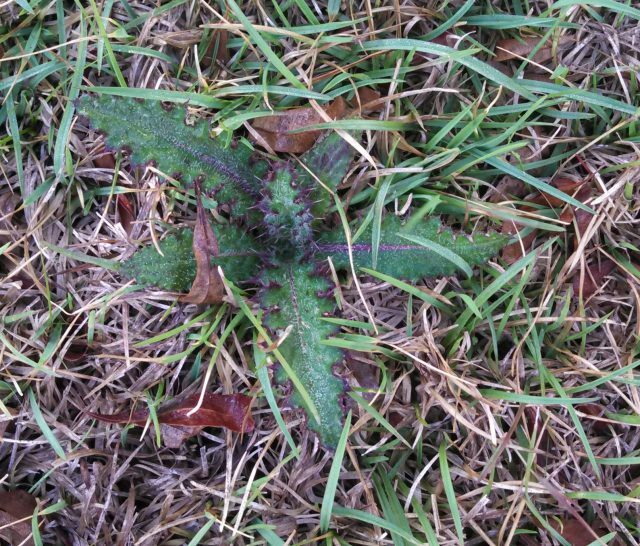 Fall is not generally the right time to control many pasture weeds. However, some perennial weeds are effectively controlled by fall herbicide applications. Fall is a good time to treat for weeds such as cogongrass, blackberries, dewberries, biennial thistles, and Chinese Tallow trees. Cogongrass is an invasive warm season perennial grass. It spreads by rhizomes and seed in north Florida. 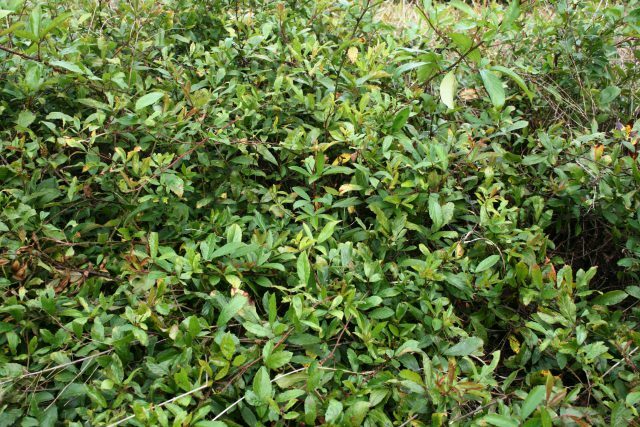 It can quickly spread from roadsides or forest areas into pastures. Established areas of cogongrass can have massive root systems making them difficult to control. 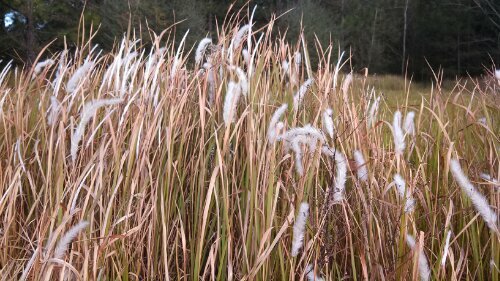 Eradication of cogongrass infestations often take 3 or more years of twice a year treatments. Currently, only products with the active ingredients glyphosate and imazapyr are effective against cogongrass. Spring and fall treatments of either glyphosate, imazapyr or a combination of the two should be applied until the infestation is eradicated. Both of these herbicides are non-selective and will likely result in bare ground in treated areas. These areas are not going to produce adequate forage for animals so owners should consider this in their grazing management plan. For more information on cogongrass and treatment plans, please read the following UF/IFAS publication: Cogongrass (Imperata cylindrica) Biology, Ecology, and Management in Florida Grazing Lands. Blackberry and dewberry control in pastures is difficult to achieve. The first step is identification of the plant. Blackberries grow upright while dewberries have a low vine-like growth habit. Dewberries have slender thorns and red hairs on the stem while blackberries have hard, tough thorns and no hairs. Blackberries grow up to 3-6 feet tall, however, dewberries rarely reach over 2 feet in height. Also, the seeds of dewberries are harder and much larger than that of blackberries. For blackberries, effective broad spectrum herbicides include: Pasturegard HL (triclopyr + fluroxypyr), or Remedy Ultra (triclopyr ester). You can either apply these herbicides in the spring when the plants are blooming, or in the fall. Fall applications are more effective. For dewberries, use Pasturegard HL (2pt/acre) but only expect 60-70% control. Remember to wait at least 6 weeks after applying the herbicide before mowing. For more information on blackberries and dewberries in pastures, please read the following UF/IFAS publication: Blackberry and Dewberry: Biology and Control. Blackberries grow upright and have hard, tough thorns. Dewberries have slender thorns and red hairs on the stem and are low growing and somewhat vine-like. Most thistles in Florida are biennial, meaning they live for two years. Thistles begin as a rosette and remain in this stage for the first year. In year two, the thistle sends up a stalk and flowers, produces seeds and dies. Thistles bolt (send up the stalk) January through July and flower from April through August. Each plant can produce up to 4,000 seeds. The key to controlling thistles is to keep the plant from flowering and producing seeds. Thistles in the rosette stage are the most susceptible to herbicides but are hardest to see in the field since they lay flat on the ground. Once the thistles bolt, they are harder to kill with herbicides. First year thistles, in the rosette stage, are easiest to control. Chinese Tallow, also known as the Popcorn Tree, was introduced in the US over 200 years ago. They are prolific invaders of natural areas, pastures, wetlands, and yards. Mature trees can be cut down with a chain saw and the stump promptly treated with an herbicide with the active ingredient, triclopyr amine. You should try to make the final cut as low to the ground as possible. You can use a paint brush to apply the herbicide to the stump. A basal bark application of triclopyr ester plus a penetrant oil can be used on smaller trees. Treat the trunk to a height of 12 to 15 inches from the ground, thoroughly wetting it on all sides with the herbicide mixture. Basal bark treatments are only effective on saplings and seedlings less than 6 inches in stem diameter. Sometimes suckers may sprout from remaining roots. A foliar application can be used on these sprouts from July to October, before onset of fall color. 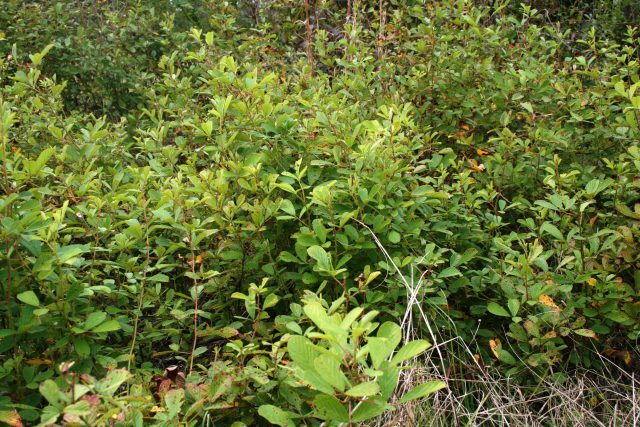 For more information on Chinese Tallow, please read the following UF/IFAS publication: Natural Area Weeds: Chinese Tallow. 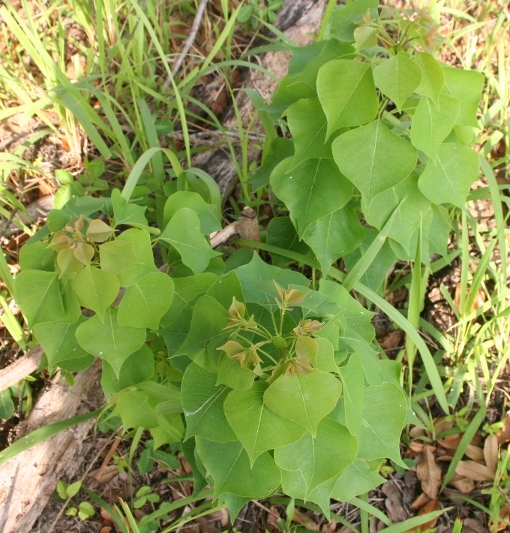 Chinese Tallow seedlings can be treated by foliar applications of triclopyr ester.